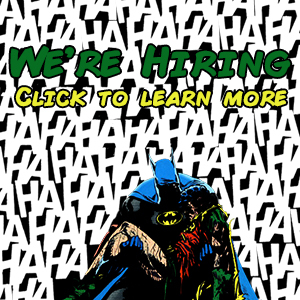 The very first Batman comic I read was Knightfall. The art, the story, everything about it appealed to me. Now, 25 years on from that story being published, the image of Bane breaking Batman’s back over his knee is one of the most iconic Batman images in history. 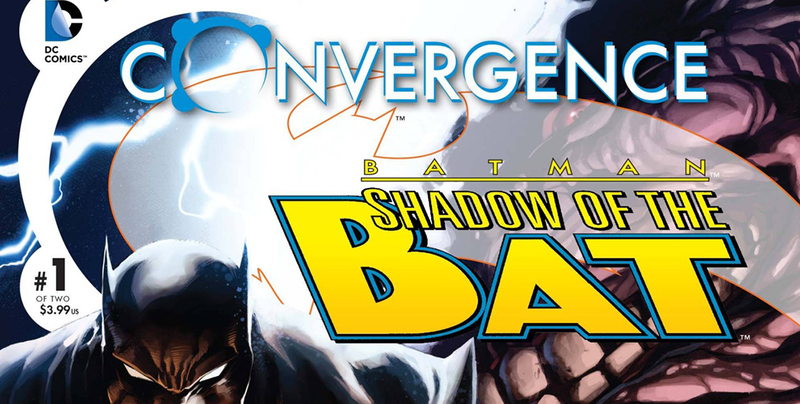 So due to this, I, of course, had to buy Convergence: Shadow of the Bat. 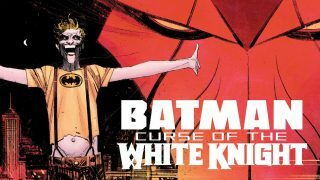 This story takes place in Metropolis and not Gotham City; which is surprising for a Batman title. The story starts off with Bruce Wayne, trying to get a place in Tobias Whale’s circle of organised crime. He is left with Whale’s muscleman “Johnny Valli” to be interrogated in order to find out what his intentions are. Valli is, of course, Jean-Paul Valley, whose sole reasoning for being in Metropolis was to witness the “Parallax Event.” While I haven’t read the Parallax event story, its reference doesn’t affect your handle on this story and it’s easy to move on from it without being completely confused. It’s also established that Bruce is still recovering from his broken back, which puts Knightfall and its subsequent events fairly recent in this timeline. This isn’t just Bruce simply referencing Knightfall though, as he tells Jean-Paul that his physical contribution to the fight on crime may be limited. Bruce isn’t as confident as he is in other books, which provides a great juxtaposition with the always overconfident Jean-Paul Valley. Bruce acts as the justice and voice of reason while Jean-Paul acts as the brute force needed to fight street crime. Jean-Paul, under the guise of Johnny Valli, roughs Bruce up badly. This beating leads to Whale letting Bruce into his inner circle due to the connections a powerful businessman like him would have. This is, of course, Bruce’s intention, as he wants to know what Whale’s next act of criminal activity is. Whale’s motive, on the other hand, is to use Bruce to find out where a food shipment is being sent. As under the dome of Convergence, food, medical supplies, everyday things we take for granted are in such short supply; having them is having power over the civilians. 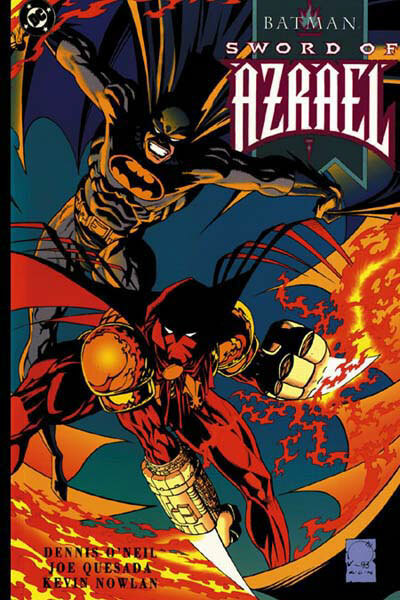 Bruce later suits up as Batman and Jean-Paul as Azrael, but in his classic hybrid Azrael/Batman suit. They stand together before they set out to stop Whale. Jean-Paul stands in the road as Bruce takes out the driver of the food van. This is a great and action-packed way to start the fight scene. 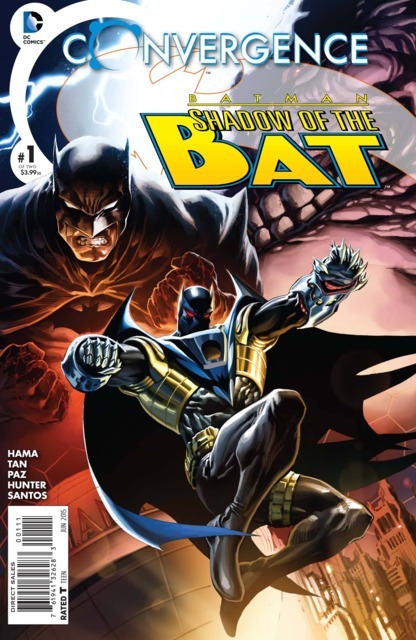 Front cover to Convergence: Shadow of the Bat. The first appearence of Azrael. The fight itself, however, gives some of my favourite dialogue in all of the Convergence titles I have read. My favourite verbal exchange being between Whale and Batman. “Your friend is playing rough, Capeman. What happened to your high and mighty ethics?” remarks Whale witnessing the true brutality of Jean-Paul Valley. Bruce’s response is as honest as ever, “Azrael doesn’t answer to me, Whale.” That sentence alone explains why I love Jean-Paul Valley so much. 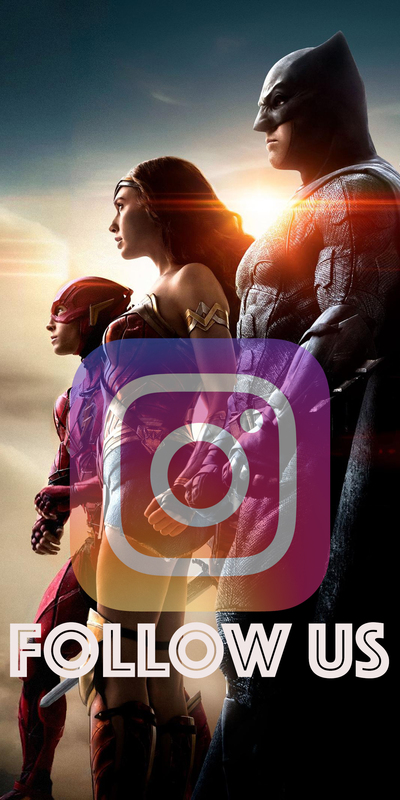 Batman has one of the largest families of superheroes in all of DC. 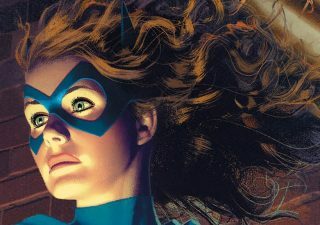 Jean-Paul is accepted into the Bat family, yet unlike Robin, Nightwing, Batgirl and the other ‘closer’ members of the Bat family, Jean-Paul doesn’t answer to Batman. He works with him, trusts him, but isn’t his toy to be played with. The same can be said for The Huntress, Spoiler and the Red Hood, along with Azrael, these four are my favourite Bat family members. 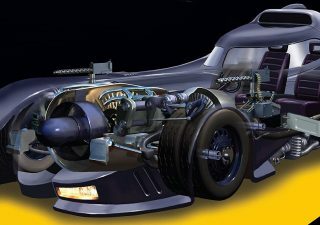 They each fit with Batman very well but enough that they can be their own character with their own unique voice and perspective on justice. The whole book’s art is fantastic. Dark and gothic, which is how I like a Batman book to be. 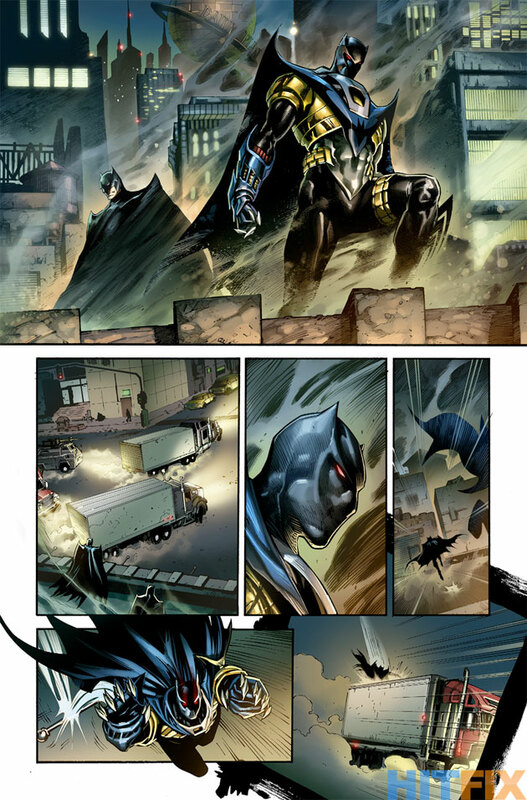 It’s also fantastic to see Jean-Paul in his Azrael/Batman hybrid costume. Although I would have preferred it to be his standard red and black Azrael suit from The Sword of Azrael series, just having Jean-Paul back is a great thing. Overall, I thought this book was great and I am really excited for the second part. This book, like so many other Convergence titles, really reminded me what a casualty certain areas of the “New 52” were to long-term fans like myself. Countless fantastic stories like Knightfall, Sword of Azrael and No Man’s Land have been wiped from continuity. 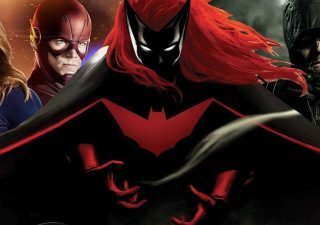 It’s great that DC is revisiting the pre-Flashpoint universe and in my opinion, making the right move by hopefully bringing back the old continuity or at the very least, bringing back older stories and characters into current continuity again. 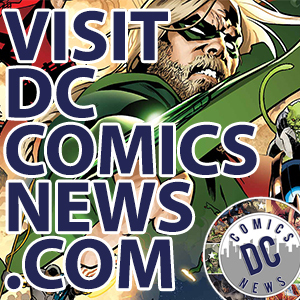 Like many Convergence titles, you will need to have read older books in DC history. 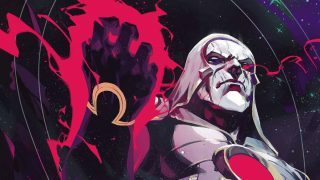 In this case, you will need Knightfall and/or The Sword of Azrael to understand the references and who the second main character, Jean-Paul Valley, is.